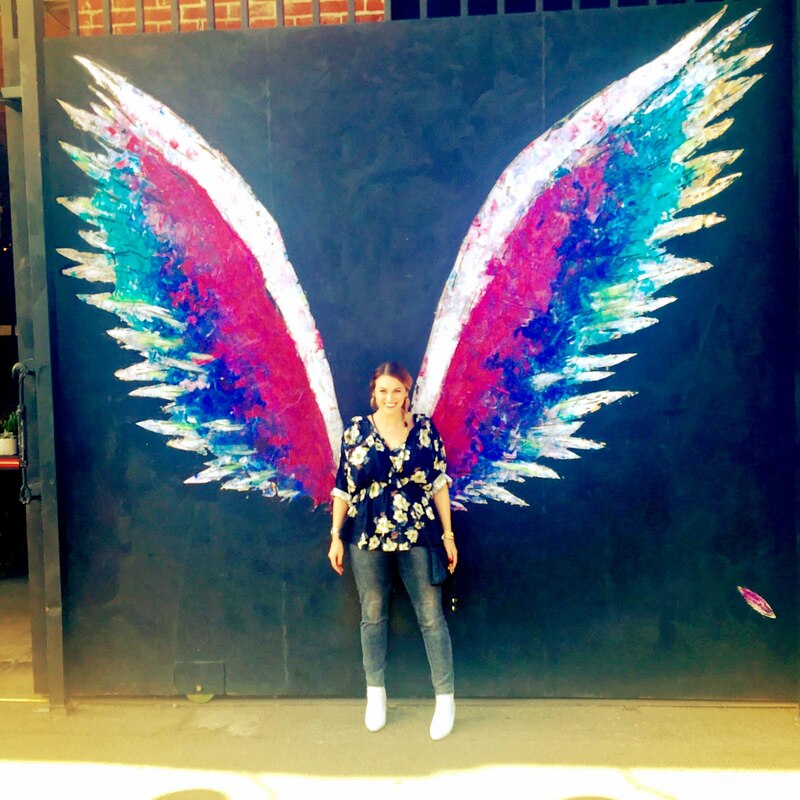 Being a city girl, I am always looking for something fun and new to do with my weekends. Going to the same South End joint can certainly get old. I like feeling the excitement of exploring new territory and having the city feel fresh and new again. 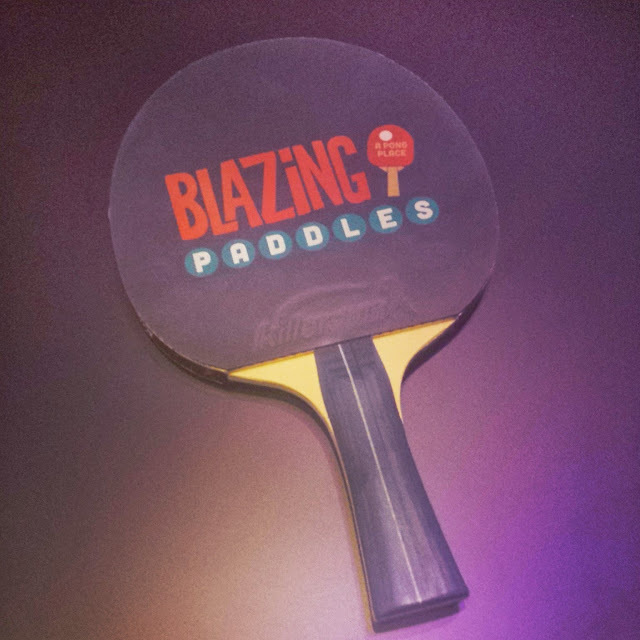 This past weekend I was invited to the opening of Patrick Lyons' new venture Blazing Paddles at Game On. The decor was very cool and relaxing.The downstairs lounge features an over-sized square bar that encourages diner-player interaction and even holds private luxury boxes. It was quite the experience and no pun intended, buckets of fun. "Runners" are on hand to retrieve the fly-away balls but also leave you with replenished baskets. Tables can be rented for half hour or hour increments, from thirty minutes to two hours. 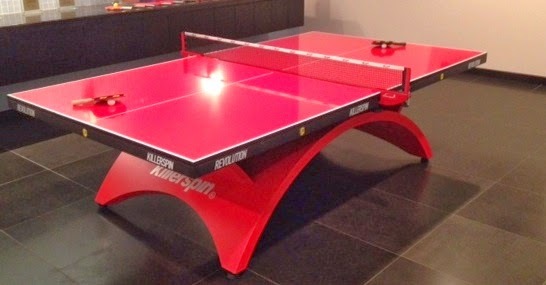 "We will have a professional player on staff at all times, for either ping pong aficionados or amateurs, who will enjoy a night of fun with great pointers on how to improve their game," says Lyons. 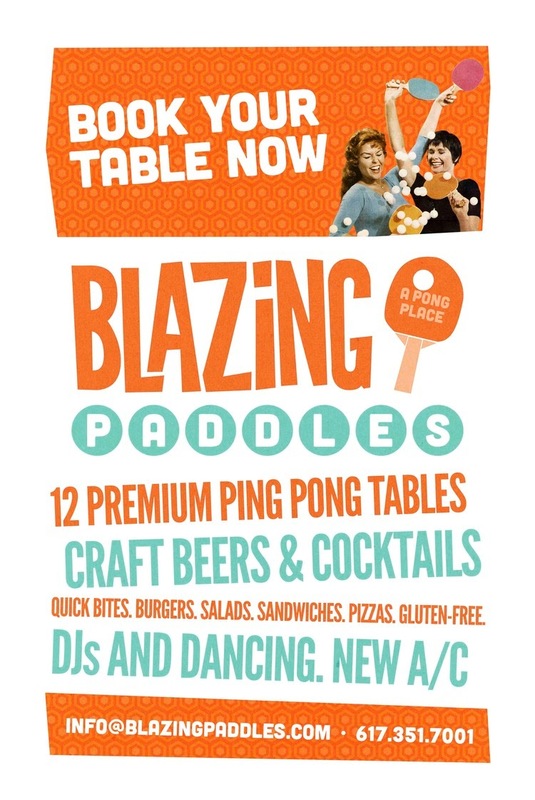 "Ping pong cuts across every demographic and is enjoyable for everyone." There is quite a cocktail list including some amazing margaritas that will surely quench your thirst after a long match. If you're hungry, order up some quick bites or a burger. There is something on the menu for everyone. I will definitely be heading back for another game and a few more laughs! There is not a time when the natural world wasn’t featured on the runways in some sort: snakeskin handbags, mink fur and leopard print dresses all had their moment in the spotlight and are always quite a popular choice on the streets of fashion capitals around the world. But now, as the fashion world is becoming more understanding and kind to the environment, the animal inspiration moved to fashionable accessories, and renowned creators like Maison Boucheron (Place Vendome 26) transformed it into an art. Some of the most spectacular pieces crafted by the house along the years were part of their Collection of Animals and displayed impressively sculpted precious metals covered in countless high quality diamonds and intensely-colored gemstones. 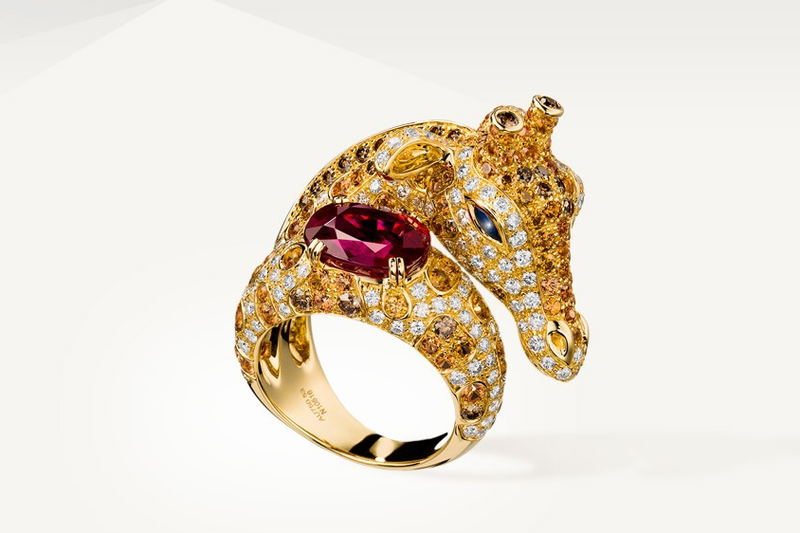 Zarafah – the charming giraffe ring – is an exquisite example of that craft: a ring in yellow gold, with her natural pattern cleverly reproduced in white and brown diamonds, blue and orange sapphires to highlight her features and a large ruby placed in her protection. The more you look at it, the more fascinated you become with the striking detailing. While the rings are extravagant eye-catching creations, there are a few things you can comfortably wear every day at the office. 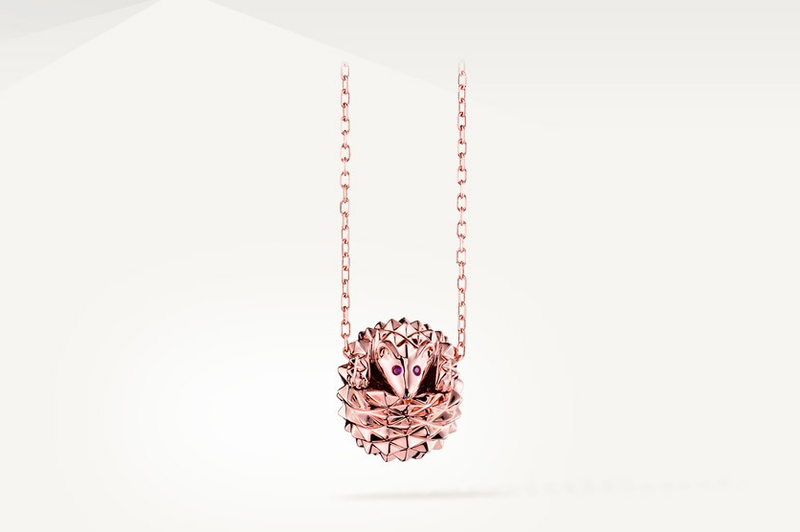 Elegant and refined yet understated, the hedgehog pendant is a delicate work of art in pink gold, subtle black diamonds and round rubies. Hans, as the hedgehog is called, has rosy spikes (that don’t sting) which create wonderful reflections when it’s basking in light. But Boucheron aren’t the only jewelers with a tradition in creations inspired from the animal world; Bvlgari’s serpent is just as famous as Boucheron’s. 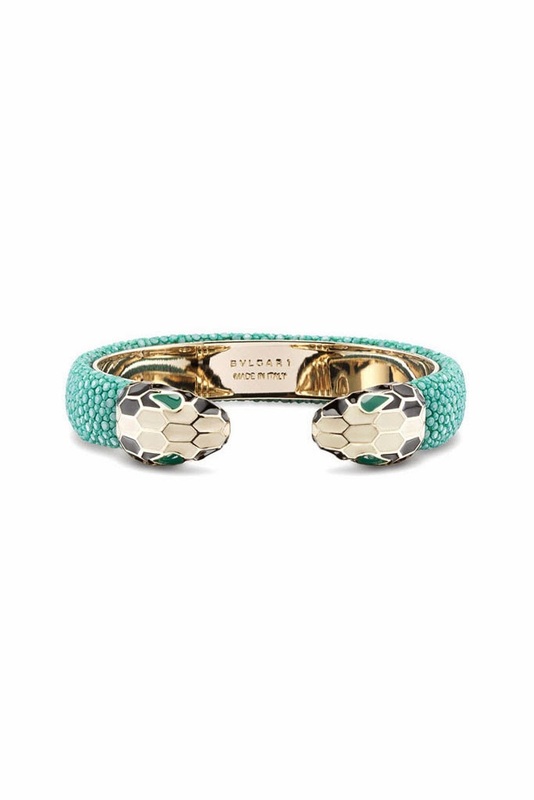 This season, onyx and mother of pearl adorn the head of the snakes while their blue body turns into an elegant bracelet. 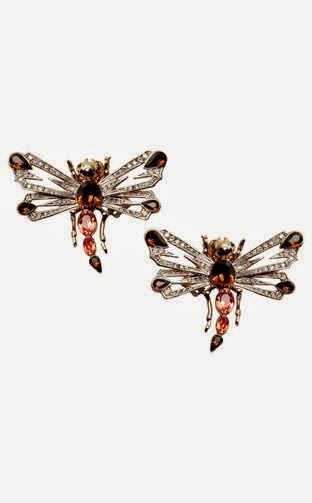 Complete an animal-themed outfit with Roberto Cavalli’s firefly earrings with rhinestones in earthy tones. For a more colorful and exotic apparition, the fanged necklace is a must have, with crystal and rhinestone detailing in tropical tones; a subtle but strong piece. For a true show-stopping statement piece, Valentino brought to the runway an impressive chain necklace with a sizable golden bull. Not one to go unnoticed for sure and you need the attitude to match. What else is out there? Well, Emilio Pucci blended some pop inspiration with a fiesta of colors and giant belts with stylized metal eagles to achieve a powerful effect. 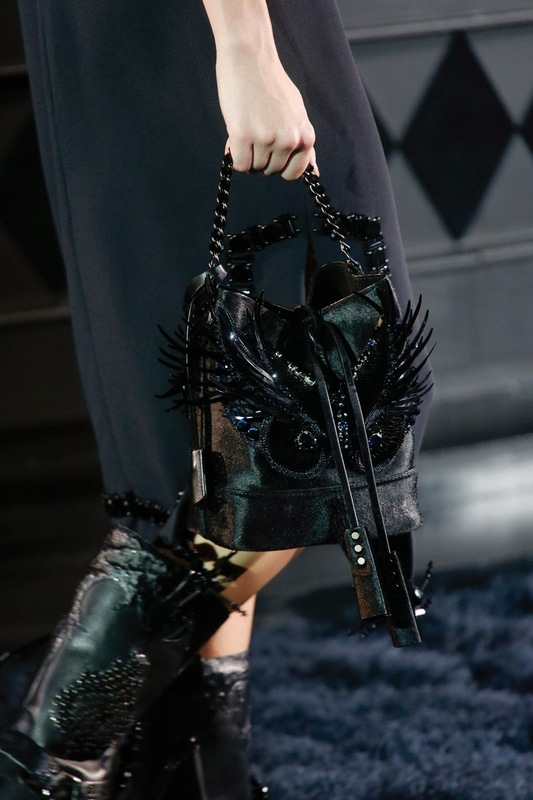 Tom Ford couldn’t be outdone so his models had feathered shoulder bags in black and white gradient. You can almost imagine that a dress made of plumage is next. Since we’re talking bags, Louis Vuitton’s black leather owl bag is a worthy mention as it’s an impressive work of craft but still wearable. And last but not least, who can forget Fendi’s Buggies? Those furry, colorful and a tiny bit scary bag bugs/handbag accessories might not be PETA’s favorites since they’re made of fox and mink fur, but the ladies do seem to love The Funny and The Playful or any of the other tiny characters. As always, designers give us plenty to choose from when it comes to ingenious ideas, and the animal world is one that never runs out on inspiration so diamond-covered swan rings and animal-print handbags will keep on coming with the start of every runway show and fashion week for years to come. Luckily, most of the creations are adorable and any animal-lover would be delighted to own them. Have a furry winter and a feathered spring! I love my expensive hair products as much as I love my Mother, trust me. Oribe, Shu Umera, and Living Proof are among my favorite brands. I have always been curious about Wen hair care. However, the price is a little crazy. 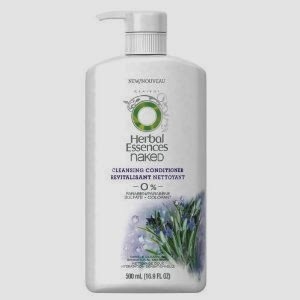 So, when I was introduced to Herbal Essences Naked Cleansing Conditioner instead, I was excited to try it especially for only $6.99. It is formulated without parabens, colorants, and sulfate keeping the formula as “naked” as possible. The product acts as both a mild shampoo and conditioner. This is great for me seeing as I'm always late! Use three or four pumps in the shower and then leave it for a few minutes. It does not lather but instead just feels like a deep conditioner. 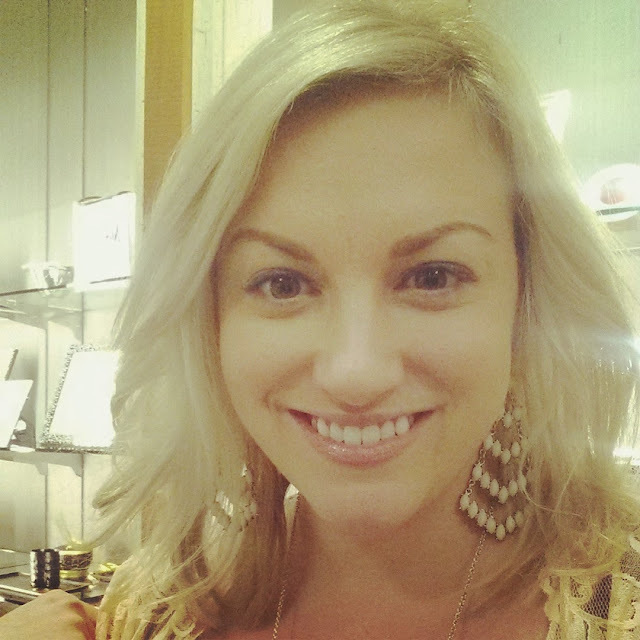 I was afraid that I would end up with greasy, lifeless hair but was pleasantly surprised. I did not need a detangle lotion to comb out my hair. Drying was easy since my hair was so smooth and felt full of volume and shine Herbal Essences has captured my heart again just like when I was a teenager! Okay kids. Get ready. 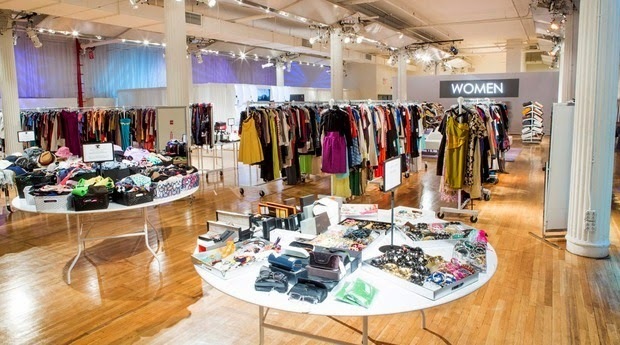 The annual shopping event of the year is here. 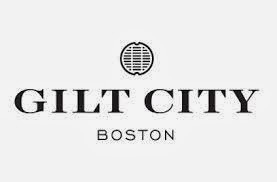 Gilt City Boston is throwing designer after designer at you with insanely low price points.There will be racks upon racks and tables lined with stylish shoes and boots, jewelry, handbags, suits, jackets, denim, dresses, outerwear and ties for men, women and children. For the home, there will be bedding, kitchen and bath accessories, decorative pieces and much more.Who doesn't love a shopping party thrown at the stylish Revere Hotel? DJ, snacks, drinks and designers...I'll be there. 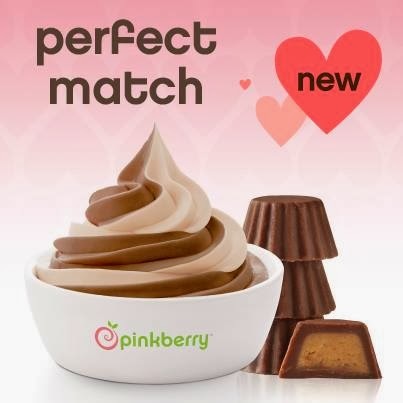 I think I just died and went to heaven with the return of Pinkberry's Peanut Butter Yogurt. I am obsessed with this flavor. I feel like Brad Pitt in the movie Meet Joe Black when he first discovers peanut butter. Plus, I am saving half the calories, by how in my opinion, Pinkberry is a way healthier snack than your average ice cream. Amazing, guilt free, and a little delight to brighten your day! Run to Newbury Street or the Prudential Center to get one ASAP!